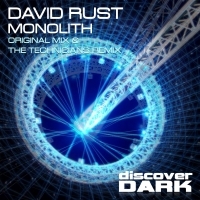 As one of Scotland’s brightest talents DJ/Producer David Rust is one man who is on the up and up within the Trance scene. The past 4 years has seen David working tirelessly on perfecting his sound within his production and his further improving the forward thinking nature of his live sets. David's passion for music past and present is evident as he takes his main musical influences from the likes of Picottos’ BXR days, Eddie Halliwell, Randy Katana, Marco V, Pascal Feliz, Fred Baker & most notably early Sander Van Doorn. More recently David has taken his inspirations from the likes of JOC & Simon Patterson. David’s sets are diverse and unique in that he takes tracks from Tech Trance, Trance & Techno and bridges them seamlessly, chopping cutting scratching & with clever use of FX in order to create a defined & expert deliverance. He keeps the mood Dark & Tech driven and at times uplifting with his energetic performances. David’s musical roots have always been soaked in tougher edged sounds and for a period of time he had great success with signing's to some of the best Hard Dance labels around: Tech-Fu, Hard Kandy, Friction, Digitally Infected and Virus Audio to name a few. David has shown his talent for producing by hitting the top half of the trackitdown charts with a number of tracks and gaining support from some of the best in the business. David is now concentrating on his production and musical direction towards Tech Trance where he is excelling in all fronts. So much so that he now has a release on the mighty Tech Trance Label DETOX with more to follow. David’s omnipresent drive to find his identity within the Trance scene it is now paying dividends - his schedule is continuously added too with bookings at increasingly high profile events up and down the country including, fulfilling a lifetime ambition by playing at the last ever INSIDE OUT at The World Famous Arches In Glasgow, securing regular gigs with English brand GoodGreef, playing at Coloursfest, and numerous other high profile gigs across the UK & Ireland. This escalating success has allowed David to support some of the biggest names in Trance including Paul Oakenfold, John O’Callaghan, John Askew, Simon Patterson, Andy Moor, Sean Tyas and many many more. David Rust is proof that by working hard the rewards will come - with a busy gig diary & more quality productions on route he is one for the here and now and the future!